We may conduct surveys or contests on the “site” that may require your personal information. You may voluntarily participate in such activities therefore you have a choice whether or not to share your information. We use this information internally to decide front-runners. If you subscribe to our newsletter, we’ll use your name and email address to send newsletter to you. You may unsubscribe at any time. We are committed to ensure that your information is secure. In order to prevent unauthorized access or disclosure we have put in place suitable physical, electronic and managerial procedures to safeguard and secure the information we collect online. If you have any questions about this Privacy Statement or your dealings with our site, please Contact Us. 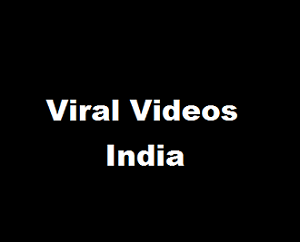 The services provided by ViralVideosIndia.com are solely for users own use and not for the benefits of any third-party. You (as user) certify that it is legally permitted to access the site and you take full responsibility of accessing the site. This agreement become void; where law prohibits sites usage. User is responsible for all the activities in connection with accessing the site. Some users may find the content or information given on the 3rd party site is inappropriate or offensive however, we do not make representations and thus will not be liable for accuracy, copyright agreement contained in those sites. We respect the intellectual property rights of others. If you believe that any of your work has been copied in a way that breaches copyright, please provide us the information – Name, address, email address, and description of your copyright work and where it is located. We’ll take appropriate actions. Disclaimer: We try to provide the correct and up-to-date information. We reserve the right to modify or make corrections to the information provided on the site at any time. We are not responsible for the accuracy of any statement or opinion given on the site. Also, we do not make any warranties of products or services provided on the site, thus we waive any warranties made in the product specification.